​A lot of folks who venture into the weight room wind up doing the bicep curl over and over again, gradually adding weight over time. By that, he means that to really make your biceps explode, you need to press the issue, to mix things up. You need to grab the curl bar and do reverse curls, drop sets, 21s and more. Otherwise, you’re just running in place. Fret no more, because we have the list of the 10 best curl bar exercises that will help you build massive guns. Take t​hese exercises ​consistently​ so you can finally wind up with biceps that will raise eyebrows. ​1. 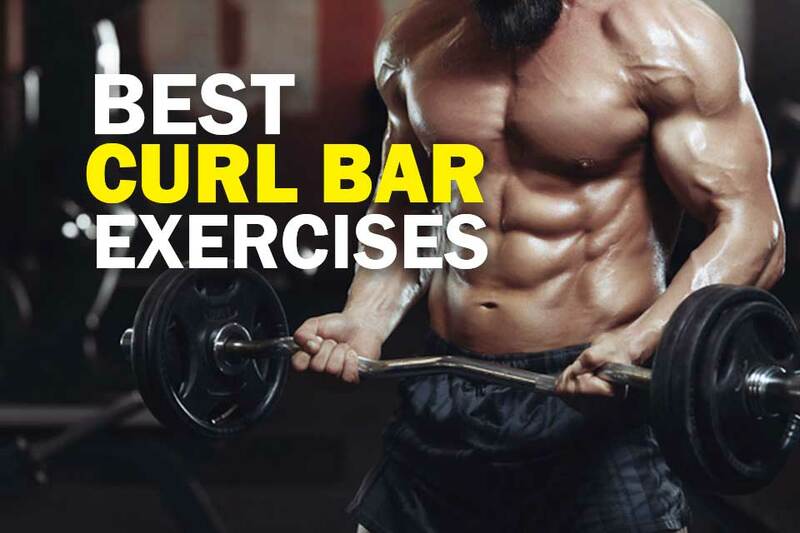 What’s the difference between ​a curl bar and ​a straight bar? 2. What muscles do curls work? 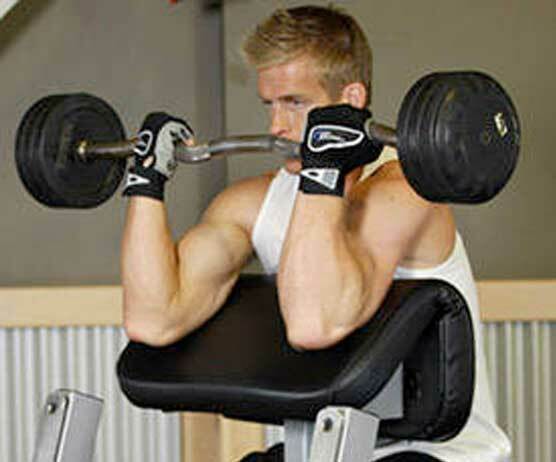 ​The best curl bar exercises are those that work the entire upper arm, including both heads of the bicep and the tricep. The promise of the preacher curl is simple: you’ll get bigger biceps. Studies show that during this type of curl, activation of the bicep is at its maximum (1) due to the support of the preacher bench. ​Step 1 - Adjust the height of the preacher bench so that it comes in contact with your armpits. Grasp the barbell with a standard palms-up grip with hands at shoulder width. 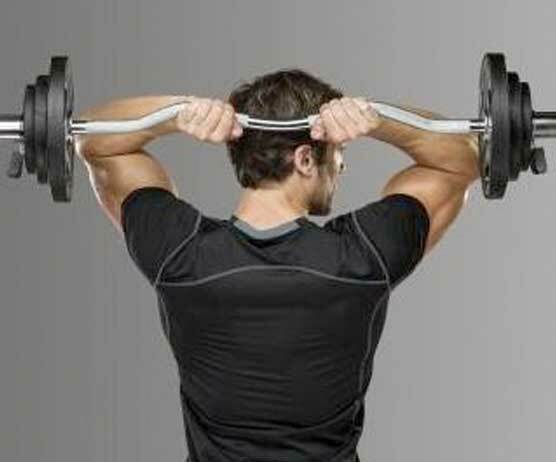 ​Step 2 - Keep the back of your arms firmly against the equipment and curl upwards until vertical. Lower the bar slowly over the course of about 3 seconds. Repeat it any number of times that you want. ​The reverse curl helps you achieve more fully realized upper arms by working muscles not always targeted by standard bicep curls including those at the top of the forearm. ​Step 1 - ​Start by standing upright—feet and hands at shoulder width, elbows close in to the sides, palms facing downward. ​Step 2 - ​Moving only the forearms, curl the bar upward while breathing out until it’s as close to vertical as possible. Squeeze the bicep while holding things there for a second, then slowly return to the starting position while breathing in. Repeat. ​The bicep has 2 heads—the long and (little understood) short head (2). The positioning of your hands as you exercise influences which head is emphasized. Since you want both heads to benefit from your workouts it’s important to vary the way you grasp the bar. 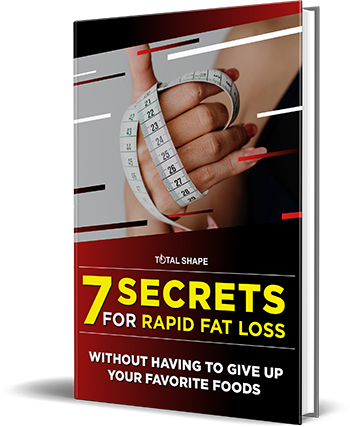 ​Step 1 - ​Choose a particular type of curl and with each subsequent workout, increase the width of your hold by 2 inches, beginning with the hands close together and moving outward. ​Step 2 - ​An alternative approach is to increase the width of your grip by 2 inches with each set of reps within the same workout. ​Back and forth workouts require a training buddy. One of you will set the challenge and the other takes it up, back and forth until neither can continue anymore. 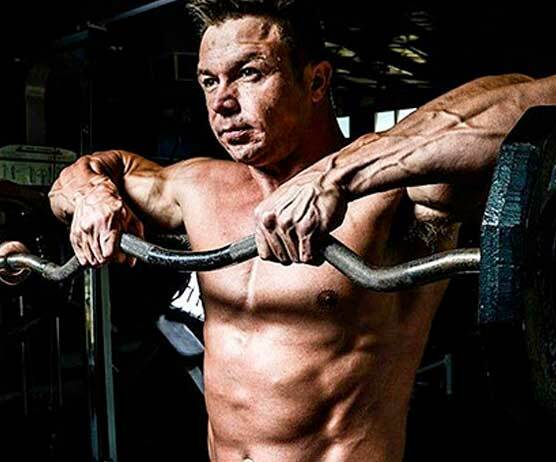 This exercise results in serious bicep pumps but is not for the faint-hearted. 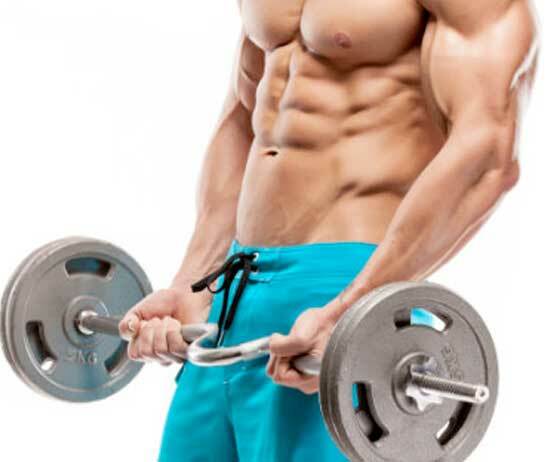 ​Step 1 - ​Perform a set of curls to failure (3) rather than to any particular number. When you’ve finished, pass the curl bar to your training partner whose challenge is to do more curls than you did. ​Step 2 - ​When your training partner is done, they should pass the curl bar back to you and once again, you perform a set to failure before passing the bar back to them to see if they can surpass what you did. ​With this type of curl, you’re executing a standard curl but with your hands in close and your elbows pinned to your sides. ​Step 1 - ​Stand with feet at shoulder width. With elbows close in, grab the bar with both hands, palms up and no more than 8 to 12 inches apart. Exhale as you raise the bar until your forearms touch your bicep. Flex your biceps for a second at the top. ​Step 2 - ​Slowly return the bar to the starting position, inhaling as you do. Repeat to your desired number of reps.
​Step 1 - ​Using 5-pound plates, load the bar with the maximum amount of weight you think you can do 6 reps with. Then perform a set of curls to failure. ​Step 2 - ​Now remove 1 plate from each side of the bar and curl to failure again. Then remove another plate and curl to failure again. Repeat until you’ve reached the final set of plates. ​Step 1 - ​Start with the bar parallel to the floor and grasp it in an overhand fashion with the hands close together. Keep your shoulders back and raise the bar as high as you possibly can. Hold for a few seconds. ​Step 2 - ​Slowly return the bar to the starting position and repeat. ​As they age, people will notice that the tissue under their bicep will start to sag. Most simply accept these saggy triceps. But you don’t have to. Overhead triceps extension curls will help keep that area toned. ​Step 1 - ​Stand straight with feet shoulder distance apart. Grab the bar in a close grip with palms down. Lift the bar to your chin then press it overhead. Carefully lower the bar behind your head. Then raise it until your arms are extended straight upward. ​Step 2 - ​Slowly return the bar to its position behind your head and repeat. Ideally, you’ll have a spotter working with you since dropping the bar in this position could be dangerous. ​If you’re interested in creating savage-looking biceps then you’ll want to explore 21s. “21” in this case refers to the number of reps per complete set, with each set comprised of 3 segments each requiring 7 reps.
​Step 1 - ​Stand upright, hands at shoulder width, bar grasped with a standard grip. Elbows should be tucked in closely to your sides. ​Step 2 - ​Go from rest position to a 90-degree angle and back to rest 7 times. Then from a 90-degree angle to fully vertical and then back to 90 degrees 7 times. Then from at rest to fully vertical 7 times. ​100s get their name from the fact that you’re going to do 100 reps total over 3 segments of each set. This exercise will help build muscle endurance as well as strength. ​Step 1 - ​Start with 50 reps. Don’t rush it or break form. 50 reps at a nice, steady pace. Then rest for no more than 2 minutes max. ​Step 2 - ​Now do 30 reps. Again, no rushing or bad form. When finished, cop another 2 minutes of rest and do 20 reps. Repeat to failure. 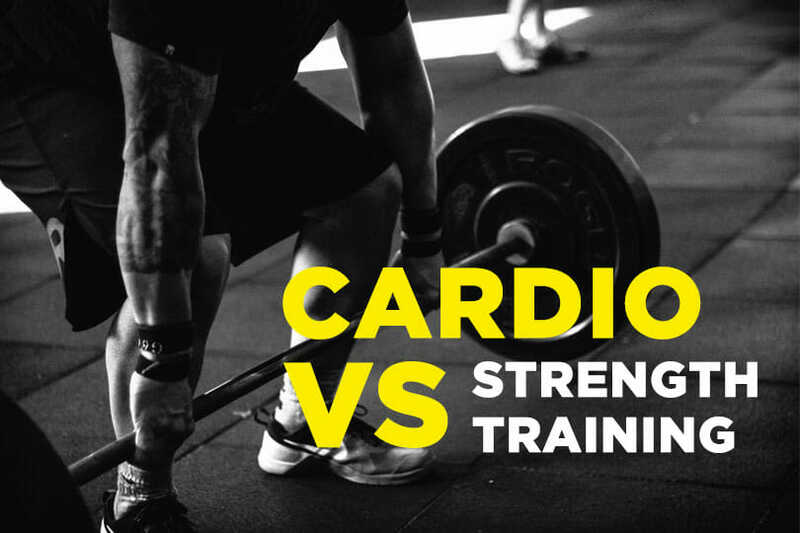 The difference between ​a curl bar and ​a straight bar rests mainly on the weight and shape of the bar, and the positioning of the hands on the bar. The curl bar undulates in a W type of shape that allows for a more natural positioning of the hands. This is particularly useful when doing various types of curls that require close and overhand grips. In fact, the curl bar—as the name implies—is used almost exclusively to perform various types of curls that target specific muscles, as opposed to, say, the squat, which targets a whole range of muscles. 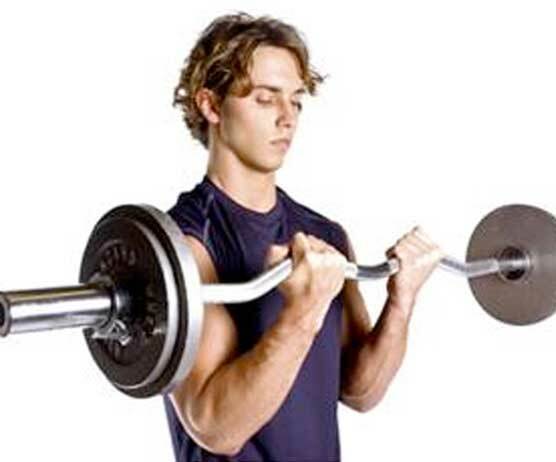 Curls work the bicep and the tricep muscles - and minor improvements on grip strength - not the abs or quads. For some people, that’s enough. Others though want to develop the entire arm from wrist to shoulder, and that’s certainly understandable as well. So if you are looking for well-balanced arms, consider many of the training variations listed above that also target the forearms. The best curl bar exercises will transform your arms from their current unremarkable state into legendary limbs in fairly short order. In fact, if you work your biceps to failure 3 times a week you should start to see a real, measurable difference in less than a month. Remember too that having strong arms provides a range of practical benefits (4) as well as makes you look like the Terminator. But no one can do it for you. So what are you waiting for? Grab a curl bar and get busy. The Herculean arms you’ve always wanted are just a few dozen workouts away.